Water quality management in ponds is all about working with the natural cycles of nutrients, oxygen and aquatic life. When you have chosen your specific goals and defined the desired uses of the pond, then planning can proceed. 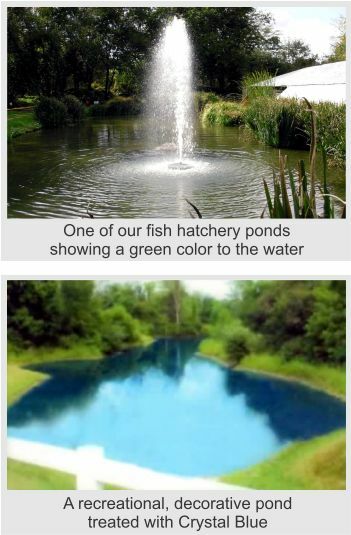 The aims of a pond management plan for rearing the maximum number of fish is different than those for a pond that is for decorative purposes or for swimming and water recreation. In the first, efforts are made to maximize the basis of the food chain and may involve the addition of proper nutrients to optimally feed microscopic phytoplankton. These are the microscopic plants that create the green color in water; something fish farmers want to see for their newly hatched fish fry but not what someone wants to see in their decorative pond. In the latter case, blue pond dye such as Crystal Blue is added to mask the green color but is a little like putting a shade cloth over your garden. It may increase the beauty in the eye of the beholder, but it decreases the productivity of the pond by reducing the solar energy that is the source of the natural food web. The management of phytoplankton in ponds has gathered a lot of attention lately because of the occurrence of harmful algae blooms (HAB) in Grand Lake St. Mary’s and other bodies of water in the region. The organisms responsible for the HAB’s are the primitive blue-green algaes that are the result of poor water quality, warm temperatures and high phosphorus concentrations in the water. There are several strategies to combat the occurrence of HAB’s including the removal of the phosphorus and increasing the nitrogen to phosphorus ratio, increasing silica concentrations and most commonly the use of aeration systems. These approaches all encourage the “good” types of phytoplankton including green algae and diatoms, which are the desired foods of the microscopic zooplankton. The zooplankton are in turn the first foods of fish babies. When water clarity is the primary goal, management will try to reduce the number of all phytoplankton. The simplest way is to reduce the fertilizing nutrients that encourage their growth and the second most common way is to provide aeration that helps sustain the growth of zooplankton populations that consume them. In natural cycles there are also filter feeding animals that directly feed on these plankton. In the oceans, animals like corrals are the filter-feeders that produce the water clarity in reefs. In freshwater lakes, species of mussels provide the same function. 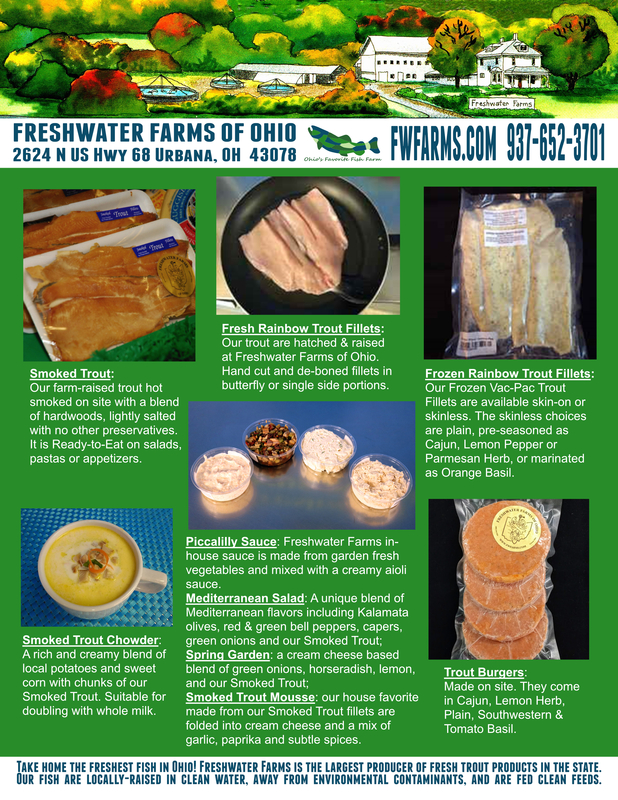 Unfortunately, many species of mussels are endangered and current wildlife laws in Ohio prohibit the culture and sales of all species. There is only one filter-feeding fish native to the Ohio River basin, the spoon-billed catfish or paddlefish (Polyodon spathula). This primitive fish species is also on the threatened list but is starting to be raised on fish farms. At the present time, our best strategies for producing water clarity are nutrient removal and aeration. Fortunately, using aeration produces a two-prong benefit. Higher levels of dissolved oxygen in the water encourage organisms from zooplankton to mussels that foster water clarity. When the oxygen-poor bottom water layer is also aerated, it changes the soluble phosphorus in the water to an insoluble form and is removed to the bottom sediments. Thereby, this limiting nutrient for algae and phytoplankton is removed and water clarity is dramatically increased. WaterSmith fountains were designed to incorporate a draw tube that can easily circulate bottom water to the surface and aerate the entire pond efficiently.